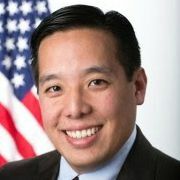 Christopher Kang, NCAPA National Director. NEW YORK (Oct. 25, 2017) — Representatives of Asian American and Pacific Islander (AAPI) organizations met with Fox News executives today to present a community letter signed by 134 national, state and local AAPI organizations and allies, as well as a petition with nearly 24,000 signatures, in response to the racist “Watters World: Chinatown Edition” segment that aired on The O’Reilly Factor earlier this month. Today’s meeting was facilitated by the Asian American Journalists Association (AAJA) and hosted by the Museum of Chinese in America (MOCA). New York Assemblymember Ron Kim (District 40) and representatives from OCA – Asian Pacific American Advocates and its New York chapter also attended.